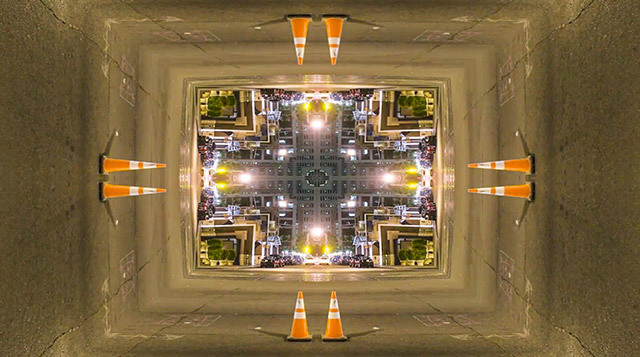 A video from photographer and filmmaker Michael Shainblum that takes time-lapse footage of Chicago, San Francisco, San Diego, Las Vegas, and Los Angeles and transforms it into kaleidoscopic patterns. Sending out a special thanks to photographer Brent Lee for coordinating a fashion shoot with Turkois yesterday in Brooklyn. Some pieces by photographers and designers who use tools like Photoshop to create surrealist work that explores the subconscious mind.